Thank you for choosing Indigo Yoga Studio to begin or continue your journey of health, serenity and fitness. We are looking forward to see you at our studio. After completing kinesiology in 2003, Genya set out on a journey to discover the mind-body-spirit benefits of Yoga. Combining knowledge and experience gained in the past twenty years,he offers a highly integrated approach by fusing elements from Hatha Yoga, Yin Yoga and Qi Gong. 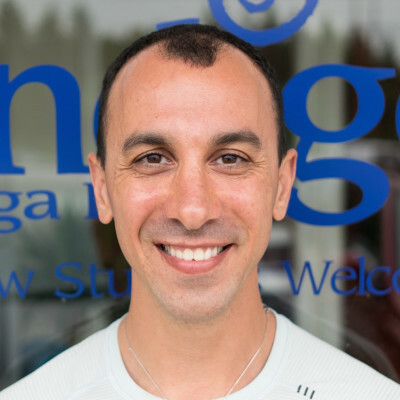 As a Yoga teacher and therapist, Genya has assisted in improving the lives of numerous individuals who have reached out to him with a variety of health conditions and life challenges. 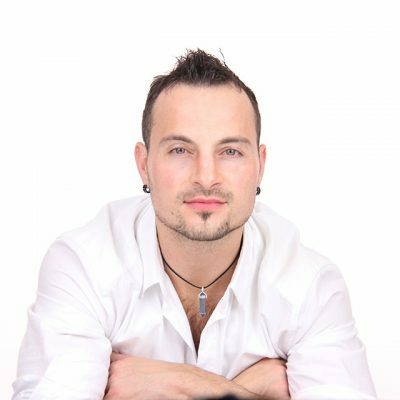 In addition, he is certified in several trainings including Phoenix Rising Yoga Therapy and Thai Massage. I feel most alive when offering my understanding of the spiritual journey, the body, mind, emotions and energy to help you to access the inherent goodness and beauty of Life so that you can make embodied authentic realizations and lasting shifts. My greatest interest is exploring the profound contribution of individual healing to relationship, family, community, planetary and global healing. Since the early 1980’s I’ve immersed myself in the ever expanding yet paradoxically ever simplified world of human health. 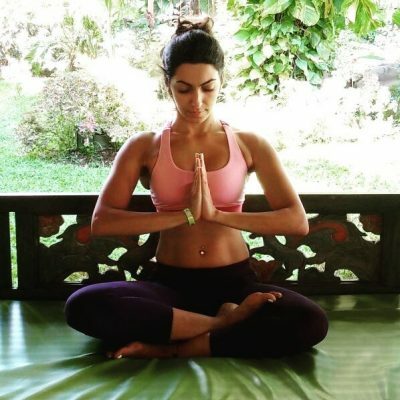 I’m a certified yoga instructor, and a registered holistic nutritionist; I have a master’s degree in exercise physiology, and a black belt in the Nia Technique (a holistic movement form); I’ve trained and sat with a number of meditation and spiritual teachers including many extended silent retreats; I work with energy intuitively. Tracey’s formal education includes post-secondary studies in molecular biology, nursing, critical care nursing, advanced life support, anatomy & pathophysiology, parenting/child development, health education, perinatal care, swedish massage and thai yoga massage. As well, she is a Yoga Therapist and has completed over 2000 hours in yoga teacher training of various lineages (Hatha, Vinyasa, Jivamukti, Yin, Prenatal, Yoga Therapy (Sri T Krishnamacharya), Yoga Nidra, & Restorative Yoga). Tracey has had the honour of educating yoga teachers in Toronto and Internationally through her own Yin Yoga teacher Training as well as through various yoga teacher training programs and mentorship. It is her sincere desire to share the poignant wisdom of yoga, and to support all students in their desire to see themselves clearly, and to love all that they see. Rachel‘s passion for yoga is matched by sharing it with others. Teaching and motivating students to feel at home with their bodies, to see their truth , their potential and strength. She is motivated to lead them to more balanced lives by building stronger healthier minds and bodies. 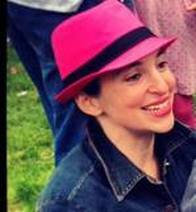 Rachel has always been passionate about exercising and living a healthy lifestyle, trying every form of exercise. First, coming to explore an Igengar Style yoga, which taught her alignment and body awareness. 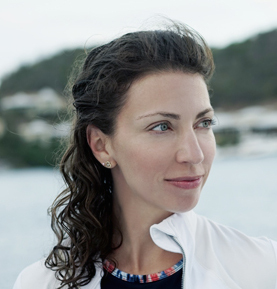 Later, she explored Vinyasa yoga, where she found her true love. The connection between breath, body and flowing movement was like a dance, meditation in movement. She was able to move and feel strong, connect to her breath and transcend in mind, one complete package. Teaching Vinyasa and Hatha yoga allowed her to share the knowledge of alignment and body awareness to her students…the result: a breath oriented, intelligent and sometimes sweaty practice leaving you feeling grace, truth and freedom in your life! Khim was a successful IT corporate executive travelling around the world before she founded a hot yoga studio. Yoga has humbled her to find herself from within and to cultivate the right attitude towards life where she feels peace, joy and love! Her style infuses Classical Yoga and Vinyasa Flow with creative sequencing and inspiring theme, allowing students to focus on mind and body. Her intention is to help students find their inner voice through physical strength of yoga while enjoying the side effects of healthy mind and body. Khim is a RYT 200 with Yoga Alliance and International Board of Yoga. Khim is also a Certified Yoga Health Coach. She helps her students to up-level their health using practical and integrative approach of ancient wisdom (Yoga + Ayurveda) and modern science (Habit evolution). Dory’s Yoga Journey started in Hamilton where she took her first Yoga class at a Moksha Yoga studio. Through practicing Yoga she found a healthier body and a focused mind. After finding a more balanced perspective of life through Yoga she felt an urge to show others the benefits of Yoga. In 2015 Dory acquired her 300 hour certificate in Kelowna BC and her 500 hour certificate in 2016 and 100 hour Moksha Flow in Nicaragua 2017. Her love and passion for Yoga grows with every passing day and she finds sharing that love and knowledge to be a profound privilege. Her extensive educational background in business, science and physical anthropology bolsters her unique methods of teaching and communicating with people. It is easy for her to connect with different array of people from all walks of life, she makes it simple for her students to recognise the relevance of each pose in daily life and “the real world”. 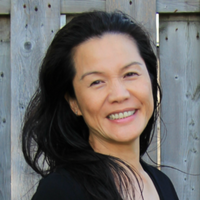 Dory is also a certified Reflexologist and incorporates adjustments and massage throughout her classes, assisting her students while making the class easy to follow. She hopes while evoking a physical and mental challenge during her classes to also provide support and ease for her students, creating a safe space for growth and awareness. Practicing mindful yoga has been a part of my life since 1995, with my first experience at Yoga Centre Toronto. I practiced Hatha and Iyengar yoga for 2 years, and then began discovering other disciplines of yoga and mindful movement such as Vinyasa and Tai Chi, which became a large part of my active life. I have been practicing Yin yoga since 2013. From my first class I was completely hooked, and felt as though I had found exactly what I was looking for. I love how Yin yoga is a full integration of your physical body, your breath, your emotions and your thoughts. The Traditional Chinese Medicine teachings and Yogic principles that are taught alongside a Yin practice really resonate with me, and have helped me connect with myself, others and my surroundings on a very deep level. Yin goes beyond the mat. This is something that I knew I needed to bring to others… to help them discover that within themselves the way my teachers from Indigo Yoga Studio did for me. Although my background is in elementary school teaching, children’s media production and marketing and social media, I feel so passionate about yoga, especially Yin, and know that my future journeys include learning more and teaching this practice. I became certified in Yin yoga in the summer of 2017 through Soghrati Yoga, and have been teaching Yin at Indigo Yoga Studio ever since. 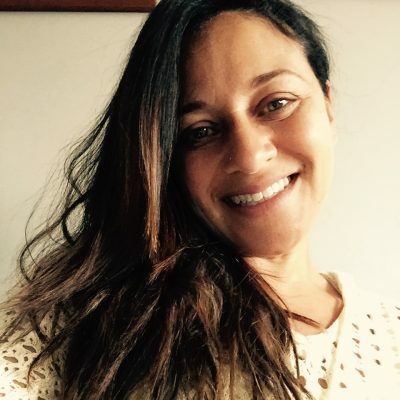 Kinneret Kim Dubowitz has been teaching yoga for 22 years and holds a Master’s degree in Creative Arts/Dance Movement Therapy from Lesley College (1999), Cambridge, MA. 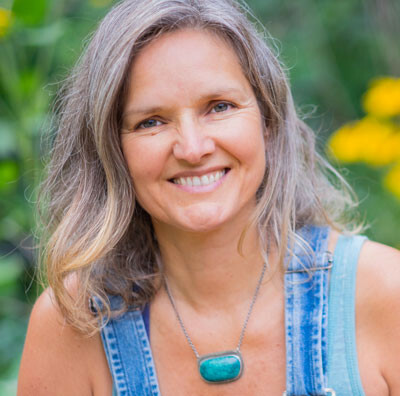 She received her yoga alliance yoga certification in 1996 from the Toronto School of Flow Yoga giving her the current credentials as an ERYT (experienced registered yoga teacher). 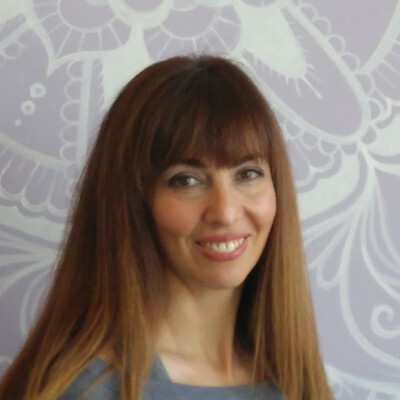 As well, Kinneret is a certified Yin Yoga teacher from Soghrati Yoga School under the teaching of Yin Yoga/Yoga Therapist expert Tracey Soghrati. Kinneret created a Yoga teacher training program for women in 2007 and offers her yoga trainings mostly in Jerusalem, New York , and in Toronto with currently 9 other yoga trainers helping to run these courses biannually. As well as running trainings she organize yoga retreats, and teaches yoga classes locally in Toronto. Kinneret’s Toronto classes are influenced mostly by the work of her yoga teacher and trainer, Kaila Kukla, who showed her the possibility for teaching a mindful movement style of yoga which originates from deep within the body. This is the hallmark of her style for her yoga classes as well as integrating Yang Yin Yoga principles. 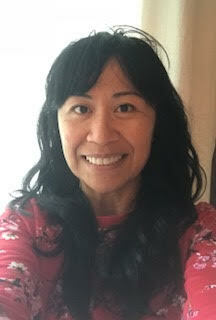 Cynthia Rebong is a teacher of contemporary mat pilates and yoga. In Cynthia’s classes, you can expect to have fun, feeling connected to your body & mind through movement, while also exploring challenge through creative ways of moving, as well as finding empowerment through learning about the body. I teach classical Hatha, slow and gentle Vinyasa, and Restorative yoga in both class and one-on-one, private formats. I’m a registered yoga teacher (RYT 500) with Yoga Alliance. I have been practising yoga for about 20 years now and teaching since 2012. I’m especially interested in the use of yoga as a therapeutic modality to provide deeply nourishing and healing experiences for the body-mind complex. I did my formal yoga teacher training at Yogaspace in Toronto. My primary teachers there were Kathryn Beet (who had been a student at one time of Erich Schiffman) and Patricia White (who trained with Esther Myers and Diane Long, who had been students of Vanda Scaravelli). Previously, I also studied regularly for some years with Iyengar teachers who had been trained by Marlene Mawhinney (Yoga Centre Toronto). My style of teaching yoga is informed by my own physical experience of living in a naturally stiff, fairly inflexible body. Over the years I’ve had to find ways to modify many yoga poses to make them more accessible and comfortable to my body, and gradually increasing my flexibility. So I love to work with others who also experience stiffness, or who have restricted range of motion, with the ultimate goal of helping them to feel stronger, more resilient and at ease in their bodies. Yoga offers many gifts to those who spend the time and effort to delve deeply into the practice. It has brought me increased body awareness; a way to listen and reconnect with myself during periods of stress; it continually teaches me patience and self-compassion; and greater resiliency to weather the storms of life. It’s a joy to be able to share these gifts with everyone who comes to my classes. 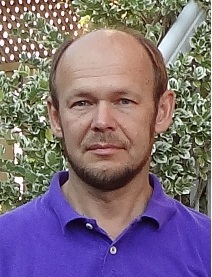 Alexei has been practicing yoga since 2007 and teaching since 2013. He completed his first 200 hours teacher training in Hot Yoga Wellness in Toronto in 2010, and then his second 200 hours teacher training in Downward Dog in Toronto in 2016. Recently he started to take courses towards 500 hours certification in Downward Dog. He is grateful to his teachers Sujun Chen, Ron Reid, Marla Joy, and many others. For Alexei yoga is an integrated discipline that unites asana, kriya, pranayama, and meditation practice. His personal asana practice is based on classical hatha and vinyasa yoga with added movements influenced by his previous martial arts practice. In his classes he encourages students to be aware of their limitations and to avoid injury guiding them to modify poses according to their ability. He also focuses on synchronizing movement with breath and usually includes breath control exercises in his classes. Being drawn to many things in the past and successfully combining many roles in the present, Tanya believes her life experience prepared her to step on the mat as a yoga teacher. She sees herself in the service of teaching and helping others on their quest towards knowledge and self-betterment. In Tanya’s class you will be guided to connect with yourself and reflect from a place of inner-knowing. You will be combining your intuition, intellect and emotions to give yourself a right start into your day. Paul’s approach to lifestyle and wellness goes beyond the physical and is grounded in Spirit and Love. Being a lover of movement, he has trained in everything from cardio conditioning and functional strength to Pilates, hatha/vinyasa, Kundalini, and therapeutic yoga. The essence of Paul’s teaching is the true meaning of Namaste, which is an experience of our oneness. Paul teaches from a place of Love – love for (your)self and love for others – and every experience will help you connect to the truth of who you are. From this connection you will come to know your inner strength and share it with the world. Niko Sofianos is an interdisciplinary artist, athlete, and indigo child with a passion for inspiring and helping others realize their maximum potential. 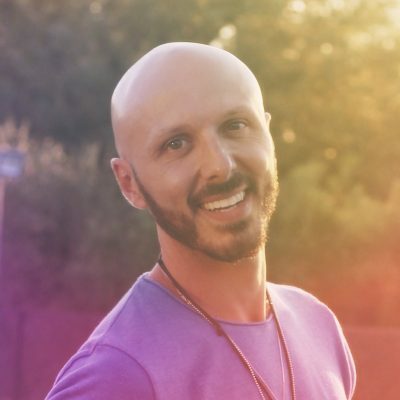 He is a certified yoga and acro-yoga teacher and the founder of FIT HOP – a board approved fitness program that uniquely fuses music, mindfulness, and physical literacy with yoga. By 19 years old, Niko won the title of Mr Intercontinental Canada which afforded him the opportunity to represent Canada around the world. However, his greatest victory has been the victory over self. A walking testament of perseverance and overcoming, Niko holds a powerful space for participants to safely explore their limits while breaking the boundaries of their minds. Niko has a gift for making people feel comfortable in their own skin and most of all – with one another. His classes are fun, challenging, dynamic and meaningful – leading every student one step closer to themselves along their spiritual journey. Zina discovered yoga in 2003. She truly believes that yoga can change people’s lives. Zina is a mother of three and a school teacher. 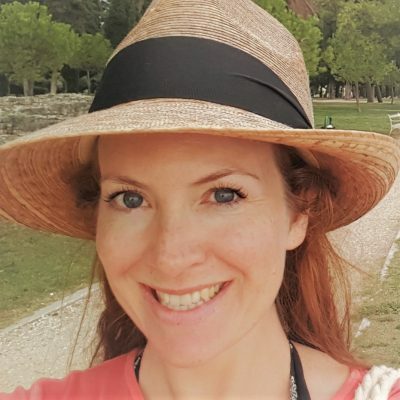 She loves working with kids, to teach them mindfulness, gratitude, self regulation, self care, self love and relaxation skills through craft and art, yoga, books, games, meditation and musical instruments. Her new passion is Tai Chi(meditation in movement), because it helped her a lot after the birth of a third child to come back to yoga practice. 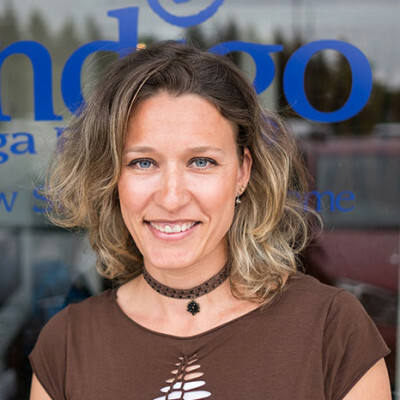 Now, Zina is a part of yoga teacher training at Indigo Yoga Studio.